Product code: ES3671 Categories: Sold Items, Sold Rings. Platinum combined with diamonds set into wonderful geometric designs are all the hallmarks of Art Deco jewellery of the 1920’s to 1940’s and this Art Deco diamond ring has it all. 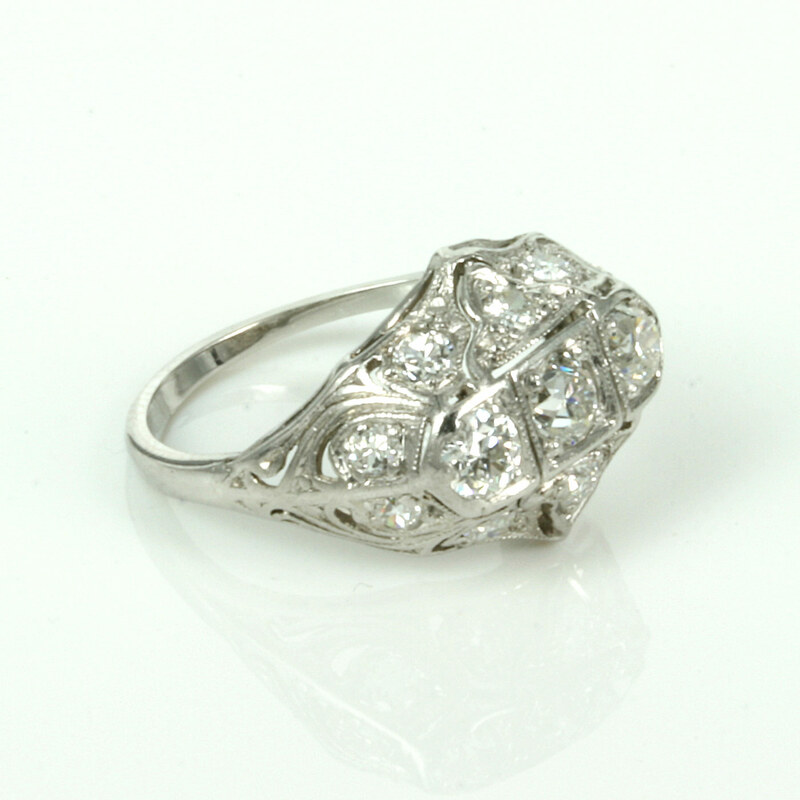 A fantastic design hand made in platinum, this Art Deco diamond ring is sure to impress all who see it and give the wearer so much joy and pleasure. In total there are 13 diamonds that give this ring so much sparkle, however it is not just about how many diamonds there are as it is also about the design that makes Art Deco rings so popular. There are three diamonds across the top of the ring and these diamonds total 0.45 carats. From one end of these three diamonds across to the other, this distance measures 12.7mm across. Then there are ten more diamonds that total 0.32 carats that are set amongst the most incredible design with the added feature of the delicate saw pierced work as well. This is where the beauty of platinum really shines it its ability to be able to have all this fine detail and still retain the strength needed to securely hold all of the diamonds in place. From where the diamonds start at one side across to the other it measures 17mm across by 12.2mm wide at the centre. All these diamonds are wonderful and white as they are F to G in colour and Vs to Si in clarity and have a magnificent sparkle to them all. 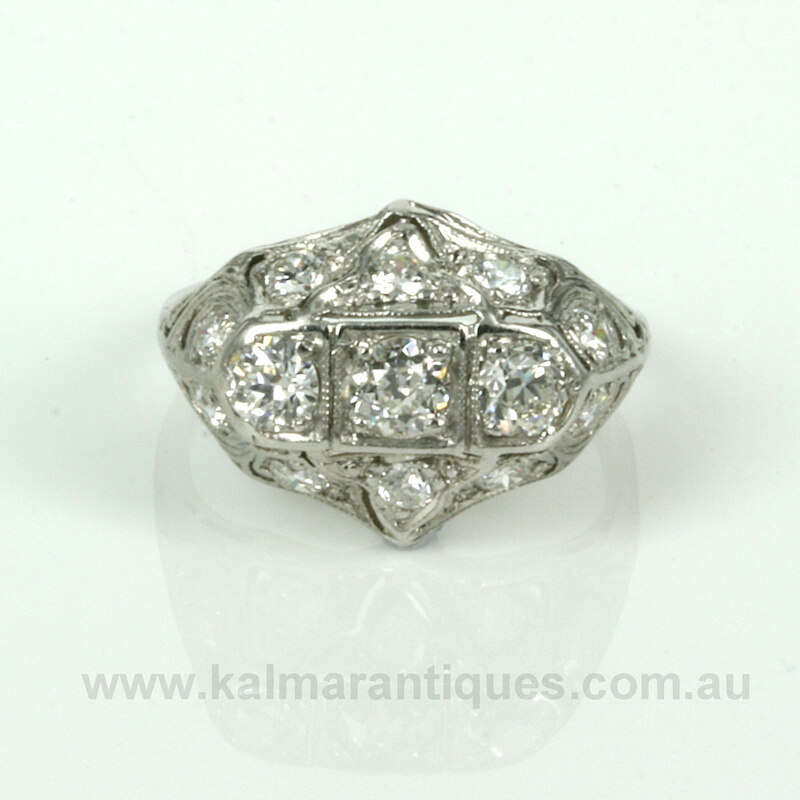 This ring would suit any finger and would make a fabulous example of an Art Deco diamond engagement ring as well. 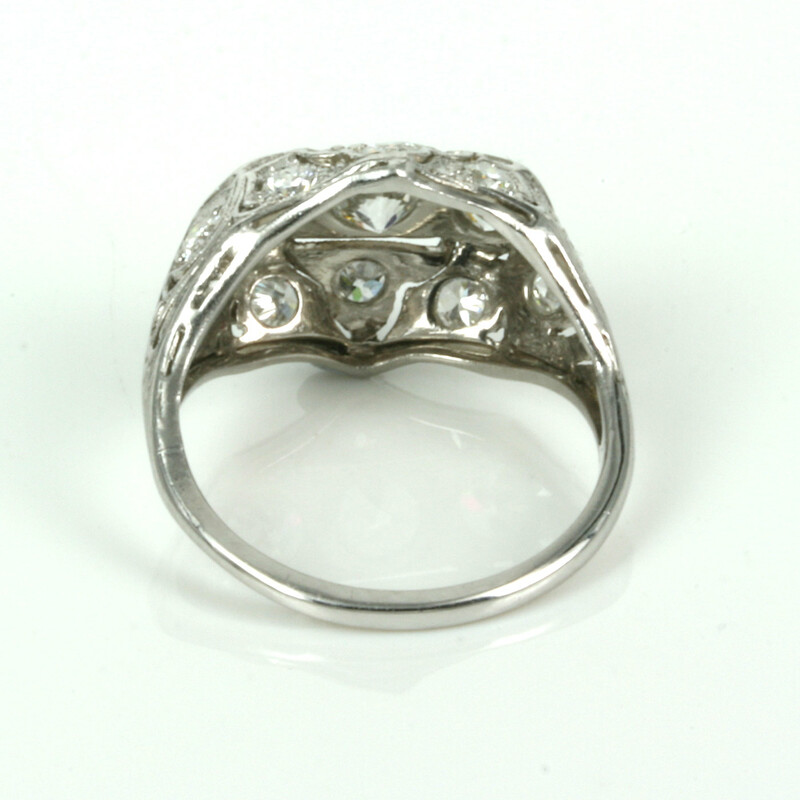 From all angles, this is a fabulous diamond ring in platinum that will always be treasured and admired.